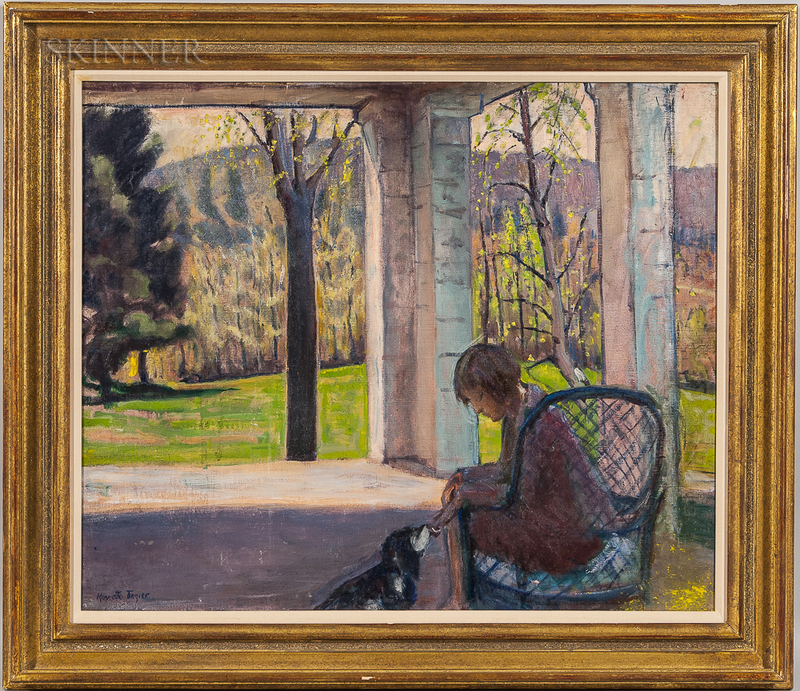 Woman Seated in a Wicker Chair with a Dog. 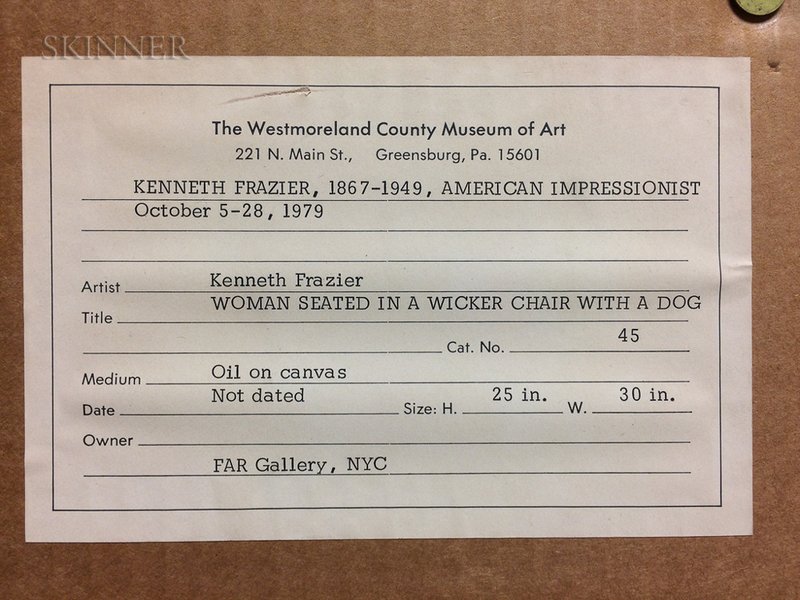 Signed "Kenneth Frazier" l.l., identified on a label from The Westmoreland County Museum of Art, Greensburg, Pennsylvania (see below), and on an unattributed printed label, both affixed to the frame backing board. Oil on canvas, 25 x 30 in., framed. Condition: Minor retouch to l.l. corner, scattered minor surface abrasions. 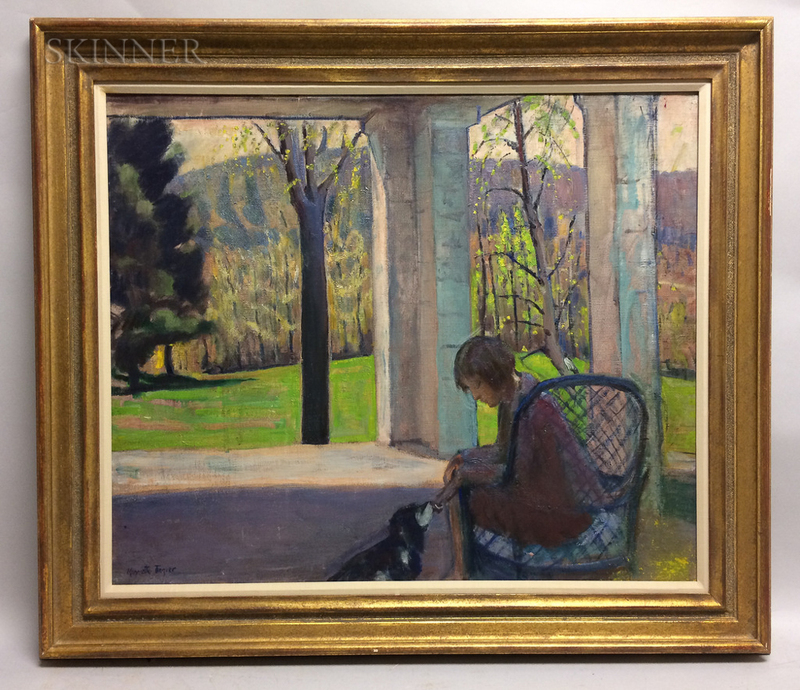 Exhibitions: Kenneth Frazier, 1867-1949, American Impressionist, The Westmoreland County Museum of Art, Greensburg, Pennsylvania, October 6-28, 1979; FAR Gallery, New York, November 3-December 1, 1979; Southern Alleghenies Museum of Art, Loretto, Pennsylvania, May 17-June 22, 1980. 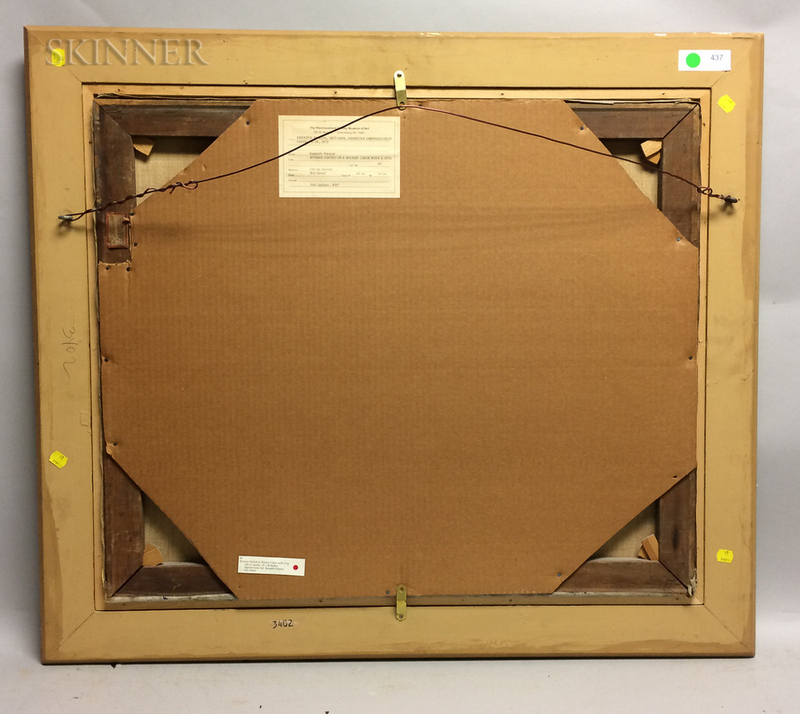 Frame dimensions are 32 x 36 3/4 in. 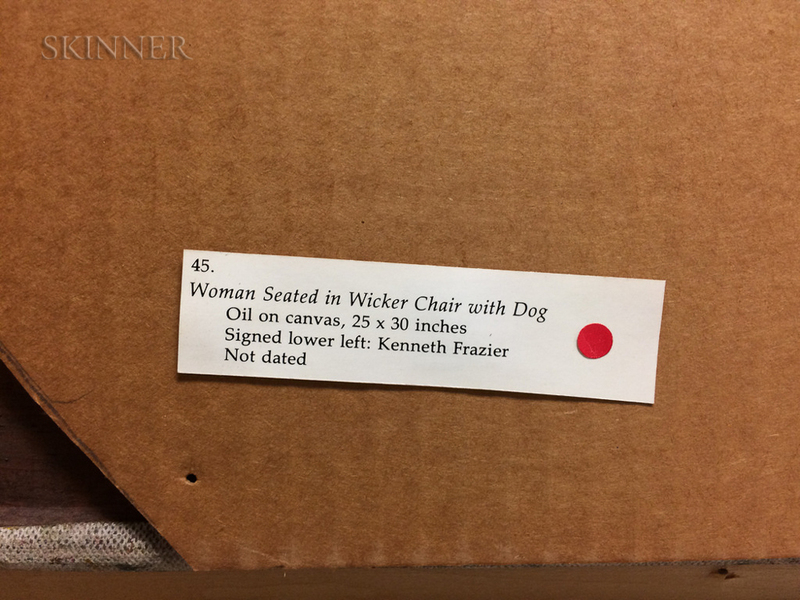 Shipper's label from W.S. 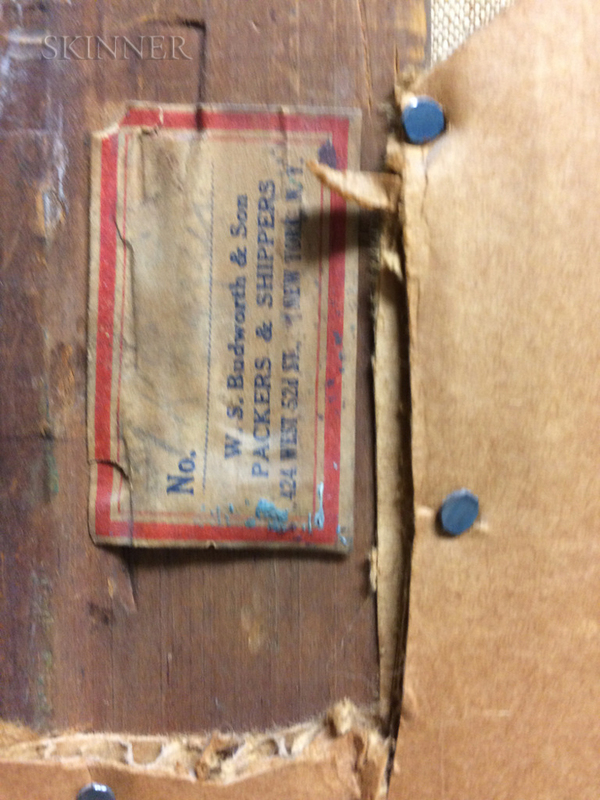 Budworth & Sons, New York, affixed to the stretcher. Under UV examination there are three small dots of what seems to be retouch in the l.l. 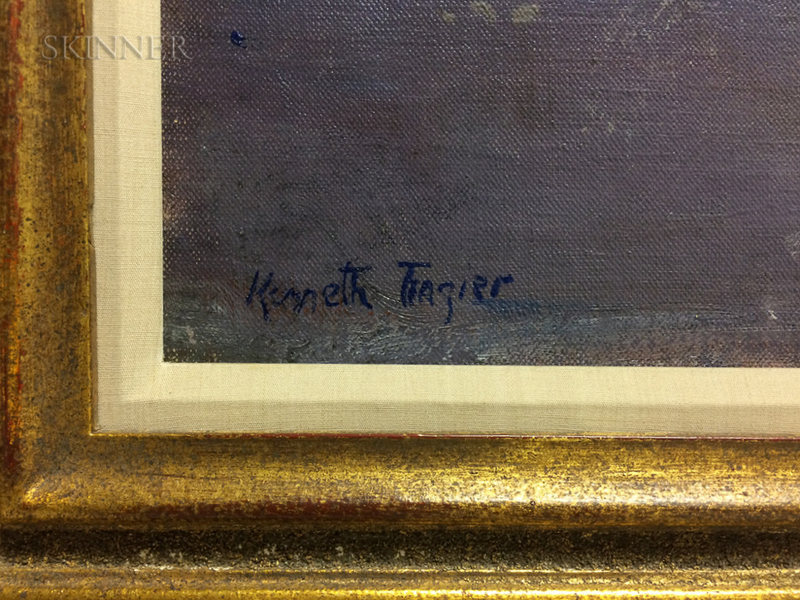 corner, 2-1/2 inches above the signature.